Jeremy Corbyn has today demanded “change” in the workplace for millions of people following high-profile scandals over the business practices of BHS and Sports Direct. The Labour leader said more than six million people earned less than the living wage and faced “insecure and stressful” work. He sought to tap into public outrage after parliamentary committees issued strong criticism of BHS, the failed department store once run by Sir Philip Green, and retailer Sports Direct, run by Mike Ashley. 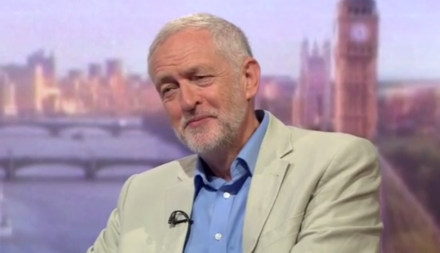 Corbyn said Corporation Britain “has to change” if it is to work for the majority of people in employment. “Even Theresa May understands she has to pay lip service to change in the workplace and the boardroom”, he wrote in The Observer. The same newspaper reported that Corbyn would overturn Blair-era union legislation to require companies with more than 250 staff to recognise a specific union with which they would bargain over pay. Corbyn also issued a stinging attack on Green, who ran BHS before selling it to former bankrupt Dominic Chapell. “Nowhere has the need for reform of corporate Britain been more cruelly exposed than at BHS. This was the goose that laid golden eggs for Sir Philip Green,” he wrote. Green’s stewardship of BHS and its sale was branded as the “unacceptable face of capitalism”. The business man has pledged to “sort” the black hole in the pension fund. Ashley was heavily criticised by MPs over the working practices at Sports Direct’s warehouse and Shirebrook and has said he is now making changes.